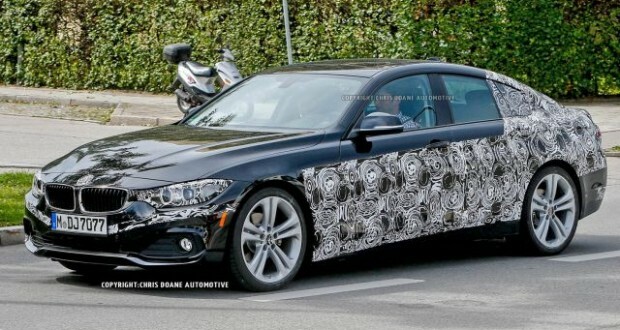 WHAT: “Gran Coupe” is BMW’s name for a four-door sedan with a sleek, fastback roofline, and the German automaker is expanding the body style to its compact 3 Series line. This follows the model-year 2013 introduction of the midsize 6 Series Gran Coupe. The 4 Series is the new name for the two-door versions of BMW’s 3 Series compact-sedan line. So while this Gran Coupe is a four-door, it’ll be marketed under the 4 Series heading to emphasize its coupe-like cachet. As in the 3 Series, expect rear- and all-wheel-drive versions, turbocharged four- and six-cylinder engines, and perhaps a high-performance M4 Gran Coupe. WHEN: Likely release in early calendar 2014 as a 2014 or 2015 model. WHY: Originating with the 2006 Mercedes-Benz CLS (based on the E-Class sedan), the “four-door coupe” niche now includes the 6 Series Gran Coupe (based on the 5 Series sedan), as well as the Audi A7 (A6 sedan), and even the Volkswagen CC (Passat sedan). It’s a high-style, high-profit slice of the market that’s expanding beyond the midsize category. The 3 Series Gran Coupe in fact follows the model-year 2014 intro of the Mercedes CLA-Class, a VW-Golf-sized four-door with a decidedly coupe-like silhouette. HOW MUCH: BMW is charging more for the 4 Series than it asks for the 3 Series upon which it’s based and it can be expected charge an additional premium for the 4 Series Gran Coupe. Look for starting prices around $44,000.